Fit well, like longer length and comfortable for several hours in the saddle. I used to wear PI shorts many years ago and liked them back then but have used several other brands since then. Got a new carbon frame bike last year and found all my shorts seem to end right where my legs would rub the brake cable. Annoying at best, painful after a few miles. So that started me on a Quest (sorry, couldn't resist) to find some shorts that would be longer than my current ones. Tried several brands and blew a couple of hundred bucks on shorts that were not appreciably better or longer than my old faves. 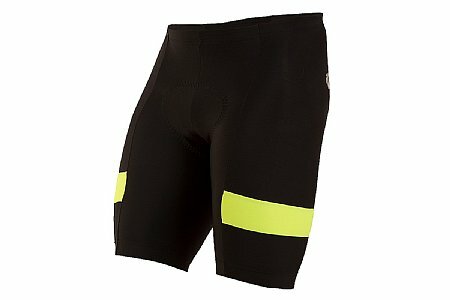 These Pearl Izumi Quest shorts are about an inch longer so they cover my legs where they rub and have saved me from all sorts of trouble when I ride. The fit is good for my not nearly slim physique and the stretch chamois has been very comfortable for 2-3 hour rides. To make them sweeter I got them on a great sale from Bike Tires Direct so picked up 2 pairs. I will be investing in another pair or 2 this spring to give me plenty for this riding year.